In Downtown Brooklyn there is a bench in the middle of the Flatbush Ave and Myrtle Ave intersection that nobody ever sits on or uses. This bench is passed by thousands of busy New Yorkers every day who don't seem to ever stop to notice it is there. 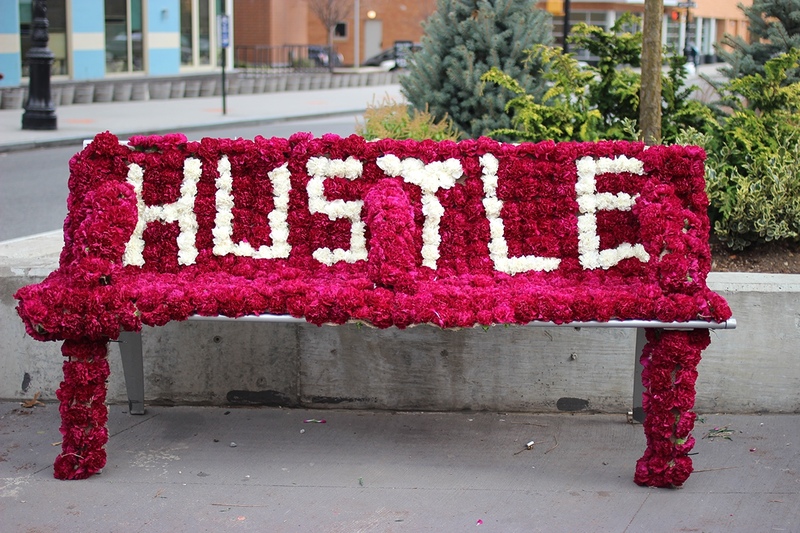 Mille Windfeldt, Anthony Cappetta and myself decided to make people stop and notice this lonely bench, and quickly remind people to keep moving, to keep hustling to get where they needed to be. 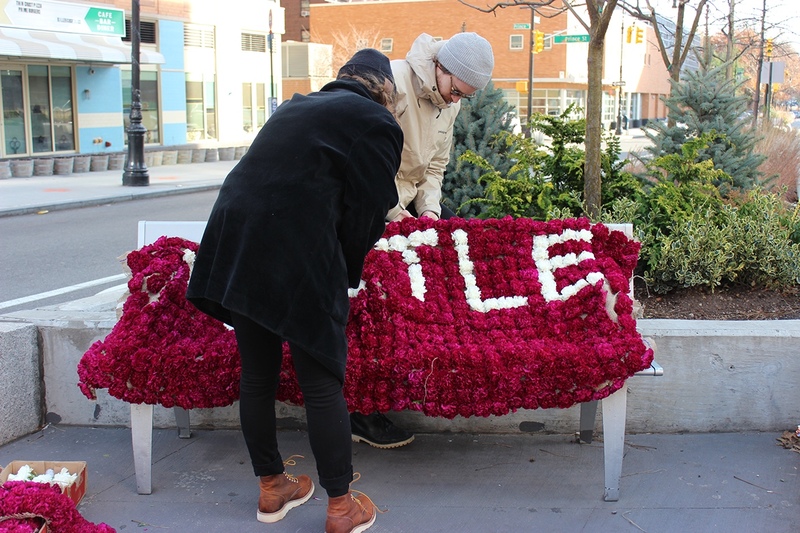 We covered this bench in 800 live carnations and then watched as people reacted to this unusual sight. 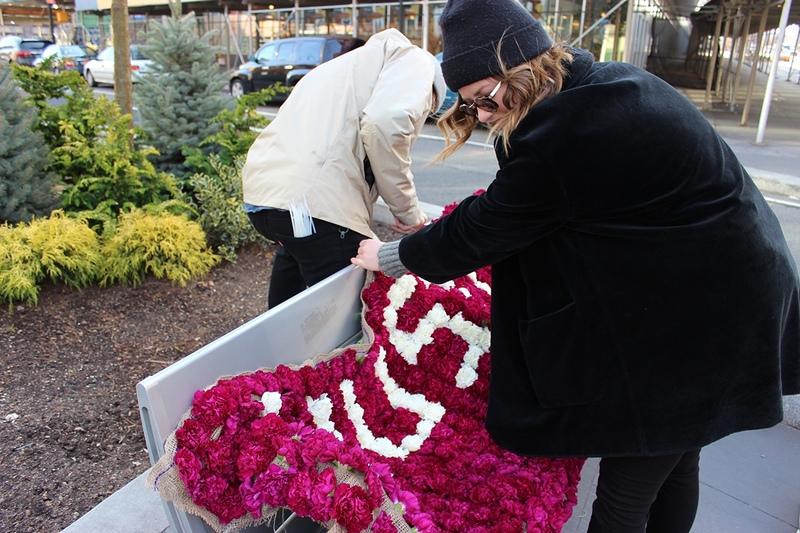 This project was made in the SVA MFA Design program in Stefan Sagmeister's "Can Design Touch Someone's Heart" class in the fall of 2015. 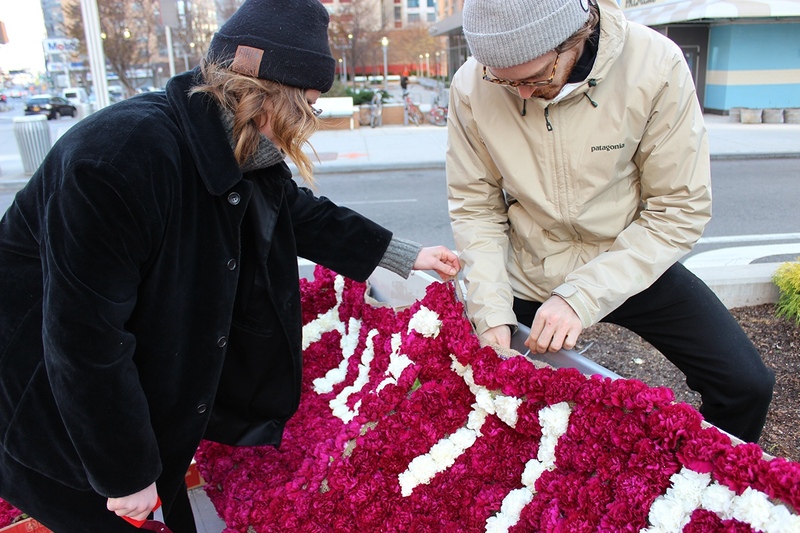 The task here was to touch a community's heart.